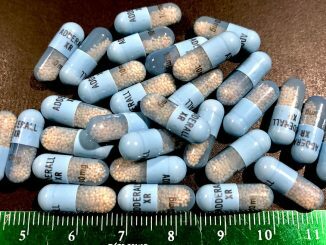 As finals approach, some students use Adderall as a study aid, but doctors warn of the danger. Students affected by DACA march in Raleigh to push for Congress to extend the program. UNC Health Care turns to pastoral counselors as part of the team providing mental health care to patients. 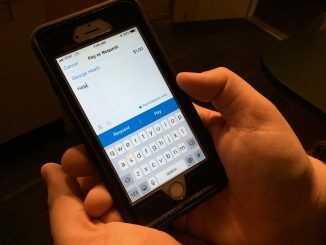 Payment apps like Venmo are popular with students, but some worry about security. 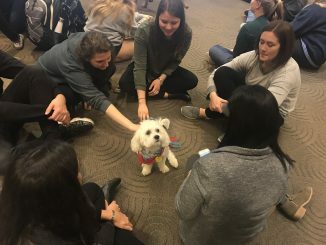 Finals week at UNC brings therapy dogs to campus, late-night concerts to the dining hall, and streakers to the library. Payment apps like Venmo have become popular in the last few years, but not everyone is comfortable using them. 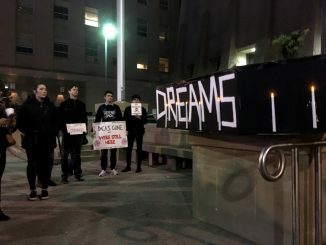 With uncertainty in Washington about the future of DACA, some of North Carolina’s 27,000 DACA recipients expressed their fears at a Raleigh protest. During finals week, some students turn to abusing prescription ADHD medications to stay awake and focus. The mental health care team includes pastoral counselors, who use their faith-based training to help patients recover. Concerts, all-nighters, and streakers are part of UNC’s finals week. UNC libraries are hosting a “Week of Balance” to de-stress students during finals. With so many pizza joints on Franklin, which are the best? Though there are more than half a dozen pizza places on Franklin St., each tries to serve a separate niche. The tax reform plan moving through Congress could contain a big tax increase for graduate students. Women at UNC are among those joining the #MeToo movement and talking about their past experiences with sexual misconduct. A new collection at Wilson Library contains some little known documents and photos from the career of Dean Smith. Some fans are confused by a new bag policy at UNC sports venues. Why has The Nutcracker ballet become a Christmas tradition? 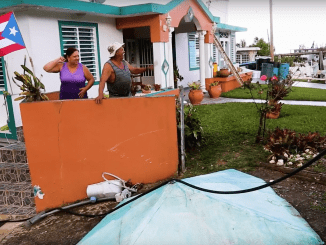 It’s been more than two months since hurricane Maria, but people with ties to Puerto Rico are still struggling to help relatives there.